You can count on this wooden bead set to make a bold statement! The variety of these dramatic bead shapes, their bold colors and two extra-long laces make stringing beads extra special. 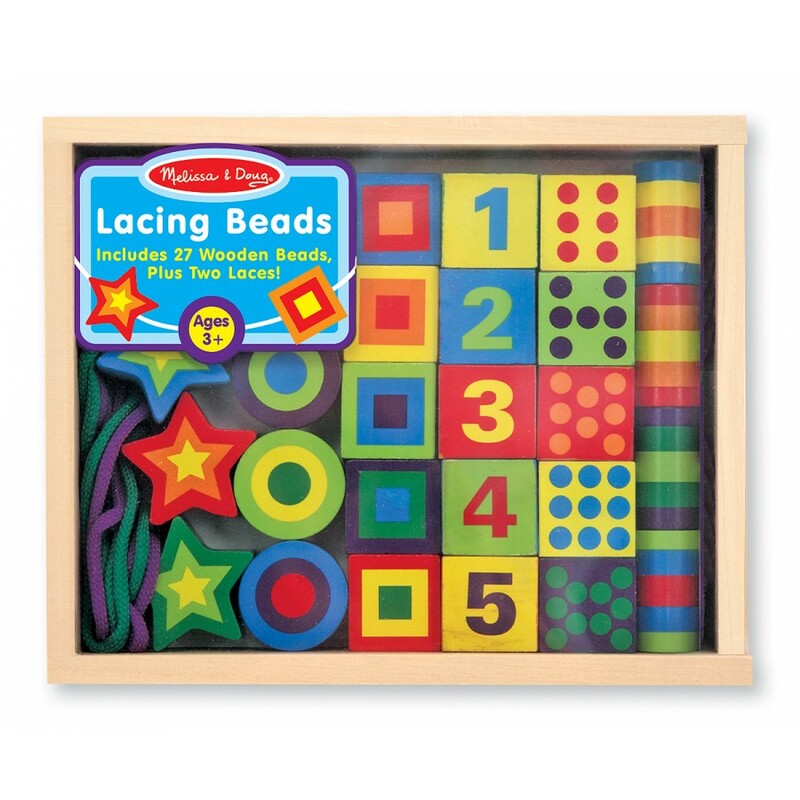 Twenty-seven hand-painted beads feature 1 - 10 as numerals and as countable dots to add counting fun to this lacing activity. Ask the child how tall the beads can be stacked without their falling over. Count each bead as it is added to the stack. 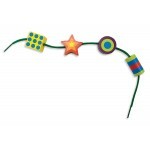 Point to a color on any bead and ask the child to identify it. Ask the child to place the number-cube beads in a row from one to ten. 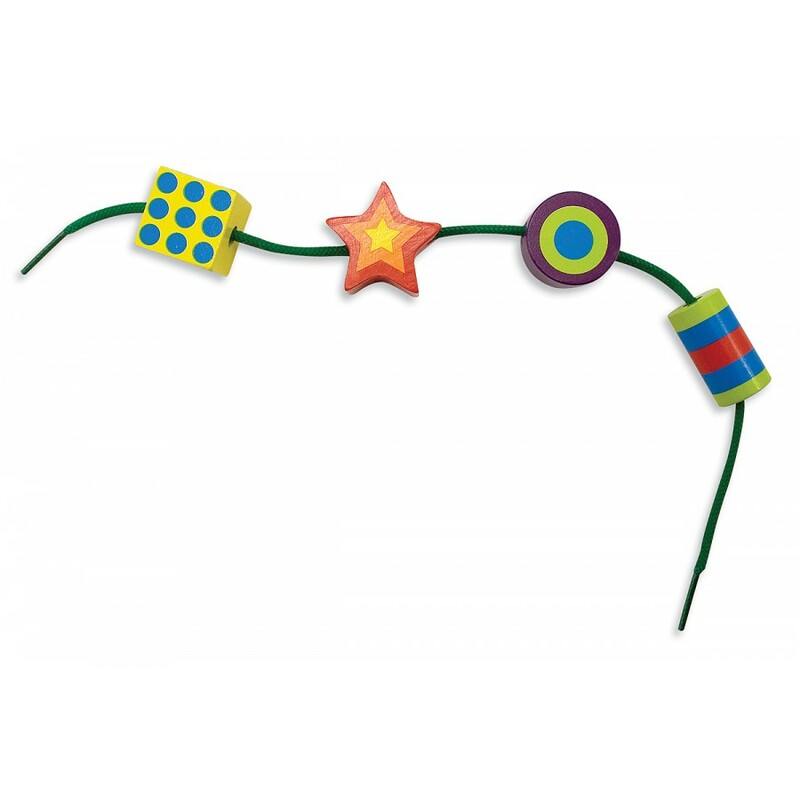 Then ask he child to turn the beads over and line them up pictorially from one to ten. Repeat the activity until the child can easily identify the numbers and numeric representations one through ten. 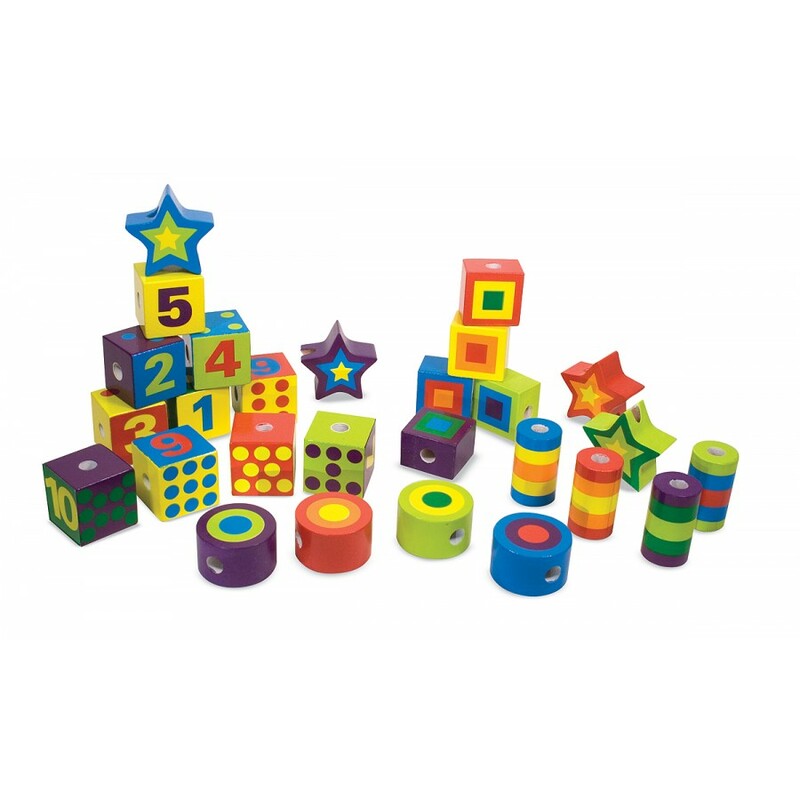 Ask the child to hand you a cube with a specific number or numeric representation on it. 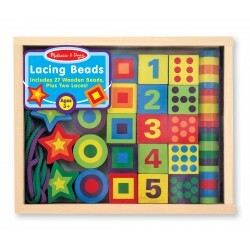 Ask the child to string the beads in a specific order. Describe each bead by its color, shape or identifying marks. Make your own bracelet! This deluxe beading set is a jewelry designer's dream! The wooden sortin..
Write your name on your bracelet! Butterflies, flowers, hearts, fish, stars, teddy bears, and do.. The perfect gift bag (and eco-friendly!) This reusable green bag made with 80g polypropylene mate..
A perfect first manipulative! Five two-sided boards with ten recessed design templates are ready.. Wooden letters beads and shapes How many ways can your little jeweler spell "beautiful"? Lots of .. Matching a letter to an animal Kids will love learning their letters with these cheerful Alphabet.. Helps the development of fine motor skills These large wooden beads will be appreciated by toddl..